Learn from the mistakes of Fareed Zakaria. Don’t plagiarize in your college essays. Don’t even think about it (photo credit: Sebastian Derungs). Ethics and college essays must go hand in hand. Have you ever heard the old ‘learn from the mistakes of others’ idiom? We’re sure you have but, if you haven’t, we’re happy to repeat it to you again. Never ever plagiarize in your college essays. Never ever plagiarize at all. It’s amazing how many college applicants each year think that they can get away with copying the words of others in their college essays. Are these applicants just plain dumb or are they naive as well? The fact is that even if that college applicant doesn’t get caught for his or her plagiarism during the college admissions process — even if he or she gains admission to the college at which they submitted the plagiarized material — that doesn’t mean he or she can’t get booted from the school later. It happens every now and then. So if you plagiarized your college essay and are now a senior in college, don’t think that you should stop sweating. All it takes is one tip, one realization and everything you’ve worked for these past three years to earn a college degree from your dream school — it’ll all go down the tubes. All that tuition? A waste. Because there is a very good chance that your university is going to expel you. Your admission? It’ll be revoked on account of your lack of ethics in your college application. So learn from the mistakes of others. 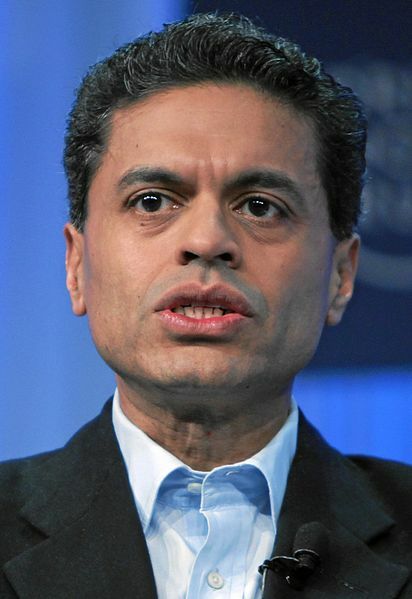 Learn from the mistakes of Fareed Zakaria. The CNN host has irreparably harmed his career by plagiarizing a piece in “Time Magazine.” The piece that he wrote on gun control has striking similarities to a piece written by Jill Lepore in “The New Yorker” — a piece that was only published a few months earlier. In addition to other instances of plagiarism, Mr. Zakaria copied one paragraph verbatim! Word for word! That’s a violation of copyright law right there. And Mr. Zakaria’s career will indeed suffer for it. So don’t follow in his footsteps. It’s a terrible, terrible idea! While you’re here, check out this post on Plagiarism and College Admissions. As a private college counselor, I couldn’t agree more. There is no room for dishonesty in your college applications and essays. Students who take this route will be doing a real disservice to themselves and their opportunities for college acceptance. Be yourself and do your own work.